If you think getting stuck in traffic is already bad, then pray that your car never breaks down while you, along with thousands of other souls, are traveling to your respective Halloween holiday destinations. #1. Don’t let your battery die. Your car’s battery is similar to a human heart—it gives you the power to ignite your engine and push you to keep moving. Thus, neglecting it can result to serious problems and complications. Check your battery regularly and make sure your terminal connections remain clean, snug, and protected. Should you notice any sign of corrosion or leakage, this means your battery is no longer functioning as well as it should. #2. Stay alert. If your car behaves in a bizarre manner, like screeching, squealing, and emitting a weird smell, these are common indicators that your brake pads and shoes require inspection. 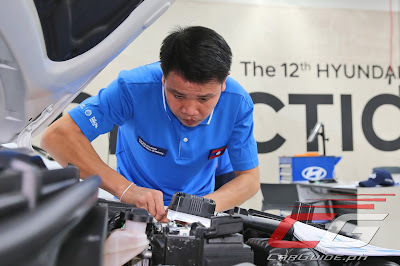 Have it checked by a Hyundai mechanic immediately, because worn brake pads can lead to damages to other parts or worse, more expensive repairs for your car. #3. Don’t dismiss the change in temperature. If you notice that your engine is heating up faster than usual, an empty coolant tank might be the culprit. If your car is leaking fluid—this could mean that you have a leak somewhere in your system, which can lead to more serious issues. #4. Follow steps 1 to 3 and trust the authorized experts. “Stranger danger” is also applicable to your car, because using fake parts or trusting run-of-the-mill shops may cause further damage to your ride and blow your savings. 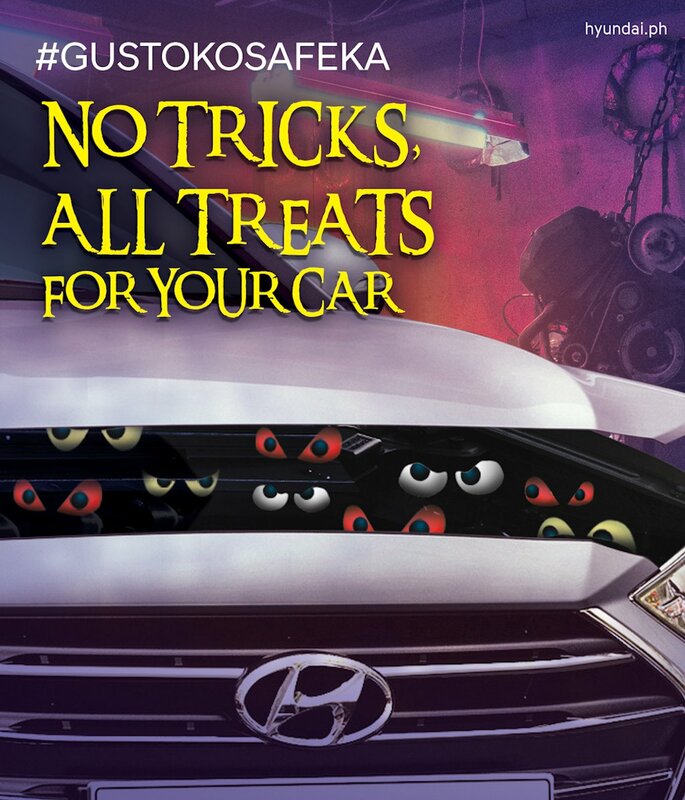 The good news is, Hyundai’s Pre-Halloween Preventive Maintenance Service promo is No Tricks, All Treats. One Hyundai Family (OHF) members can enjoy twice the fun, because they’re entitled to an additional 10 percent discount. 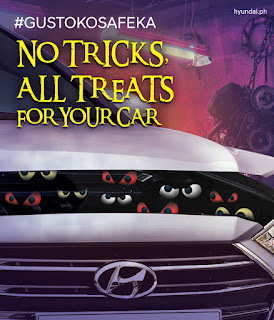 This promo, as part of the Gusto Campaign, is Hyundai’s way of making sure that you get more out of life by enjoying the holidays to the fullest.